In recent years, Mercedes-Benz has been revolutionizing automotive technology with a wide range of premium technologies, making it easier for drivers in greater Sacramento to stay safe, connected, and entertained. At the forefront of this movement has been the COMAND® interface, the hub for high-tech functions and features in most new Mercedes-Benz vehicles. 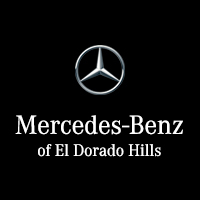 Get the specifics of what this system can do, and explore it closer at Mercedes-Benz of El Dorado Hills. The COMAND® system is offered with an advanced navigation system that makes it easy for you to get where you’re going. Simply input your destination and the system will provide you with helpful visual, audible, and textual directions to where you’re going, along with up-to-date traffic and weather information, points of interest, and more. In addition to streaming your favorite music and placing phone calls, some new COMAND® systems on Mercedes-Benz vehicles are also offered with Apple CarPlay™ and Android Auto™. These smartphone app integrations systems turn the vehicle’s multimedia interface into one that resembles your Apple® iOS or Android™ device, respectively, giving you access to more of your favorite apps right from your car. To see how the COMAND® multimedia system really stands out, schedule a test drive at Mercedes-Benz of El Dorado Hills. It’s available on almost any model in the new Mercedes-Benz lineup. Our dealership is located northeast of Sacramento off of Lincoln Highway at 1000 Mercedes Lane in El Dorado Hills, and our finance team will work with you to find a finance or lease rate the works for you. Bluetooth® is a registered mark of Bluetooth® SIG, Inc.